MANNER OF WORD TRANSMISSION CAUSED IN THE PAST? 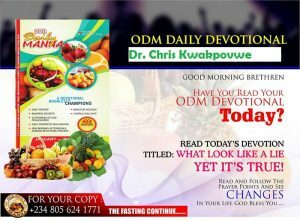 READ ODM January 2018 Day 26 - LORD SEPARATE MY ROD! MY NEW NAME IS "BLOSSOM!" Ah! I just got this strongly in my spirit now: God will send people across you this week/this year 2018 to help you. Keeping your helpers is another thing! May helpers you have lost in the past be restored back to your life and ministry again in Jesus name! But you must learn to keep them. May your tongue and temper not demote you this year or send your helpers running away. Let God use today’s devotional to break you. You must increase and be DECORATED this week and this year! As your prophet, I pray for you always –day and night – but please don’t allow my prayers for you to be wasted because of your tongue or your secret lifestyle of pride/sin! 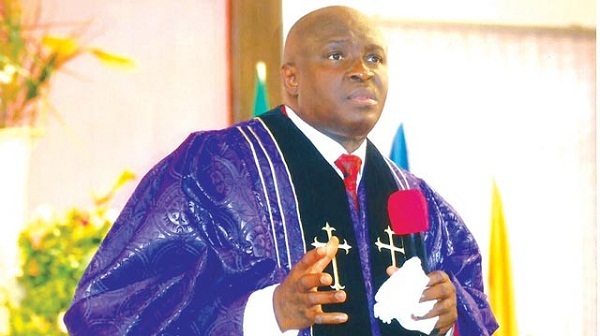 READ Daily Manna Devotional 9 October 2018 - HIS LAST SERMON! TAKE HEED AND BE QUIET! 342-1513; +234 807-314- 6863 for SPECIFIC FIRSTFRUIT PRAYERS! PRAYER POINTS: Take Song 2: My hope is built…..
1. Thank God for the Word1 Repent from past weaknesses/failure concerning your manner of speech to others. RESTORE IT (Pray it seriously many times today).